“Within a few years, the Pacific Islands region will likely become home to the newest states in the world. Each of these nations is emerging from a complex history of colonization and civil unrest, and the creation of new states in the region has significant political, social, and economic ramifications for the Asia-Pacific as a whole. States-in-Waiting: Introducing Your Future Pacific Neighbors The world’s newest states are likely to emerge from the Pacific Islands. Why is no one paying attention? Within a few years, the Pacific Islands region will likely become home to the newest states in the world. Each of these nations is emerging from a complex history of colonization and civil unrest, and the creation of new states in the region has significant political, social, and economic ramifications for the Asia-Pacific as a whole. First up is the French overseas territory of New Caledonia, which must hold an independence referendum before the end of 2018. Following violent clashes in the 1980s between the indigenous Kanaks and the pro-French European settlers, the UN listed New Caledonia as a non-self-governing territory in 1986, effectively placing the territory on its “decolonization list.” After further killings, hostage crises, and assassinations in the 1990s, the French government signed the Noumea Accord in 1998, mandating that a vote on independence was to take place before 2019. The outcome of the upcoming referendum is difficult to predict, and is causing heated debate in a nation that is already intensely polarized. Changes in 2015 to the electoral eligibility laws prescribed that only the indigenous population and persons who were already enrolled to vote in 1998 would be automatically eligible to vote in the referendum, causing protests among pro-French groups. The latest census results reveal that within a population of 260,000, 39 percent are indigenous Kanaks, whilst 27 percent are European. The remaining 34 percent comprises “mixed race” persons, migrants from other Pacific islands, and a handful of Asian minorities. As the referendum approaches, pro-independence activists have some hard work ahead of them in order to broaden their appeal beyond the Kanak bloc and gain the majority vote necessary for independence. Little more can be said at this stage while the New Caledonia Congress continues to debate the question of electoral eligibility, but it seems likely that the results will be close. The Autonomous Region of Bougainville, currently a province of Papua New Guinea, will follow suit with a referendum in 2019. The decision to stage a referendum came out of the Bougainville Peace Agreement in 2001, following a long and bloody civil war from 1988-1998. The conflict was fought between Bougainvillean revolutionary forces and the Papua New Guinean military — assisted by the infamous private mercenary company Sandline International – and the ten years of fighting left as many as 20,000 dead. Longstanding feelings of alienation toward Papua New Guinea among Bougainville’s estimated population of 250,000 suggests that a strong vote in favor of independence is the most likely outcome of the 2019 vote, meaning that Bougainville could become the world’s next new country. Despite the overwhelming support for independence among Bougainvilleans, Papua New Guinea’s frosty attitude toward the question of independence intimates that secession is not entirely guaranteed. 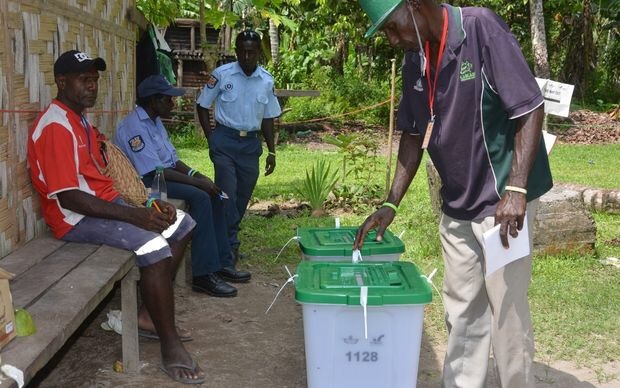 Part of the peace agreement was that the PNG Parliament would have “final decision making authority” over the referendum results, meaning that Bougainville’s independence will theoretically require parliamentary consent. It is unclear how this will play out in 2019, and it is also unclear how the UN, regional leaders, and Bougainvilleans themselves would respond if Papua New Guinea refused to ratify a vote for independence. The Pacific also holds a number of more long-term candidates for statehood. One of the key areas to watch over the next decade is French Polynesia, an island collectivity in the South Pacific that the UN* re-classified as a non-self-governing territory in 2013. As such, the French government was called upon by the UN General Assembly to take rapid steps toward effecting “a fair and effective self-determination process” in French Polynesia, a major win for the indigenous Maohi nationalists. Similarly to New Caledonia, the French Polynesian parliament is split between the pro- and anti-independence political parties, and these sentiments broadly divide the population into the indigenous and European camps. The political situation is further complicated by the intertwining of the independence movement with the campaign for recognition and compensation from the French government for the 193** nuclear tests carried out in French Polynesia between 1960-1996, with anger and momentum in the latter movement fueling the independence campaign. While a referendum is some way off in French Polynesia, the events in New Caledonia over the next few years are likely to provide significant impetus for the decolonization process. Aside from New Caledonia and French Polynesia, France has another overseas territory in the form of the islands of Wallis and Futuna. Whilst the islands’ indigenous populations have traditionally been strongly pro-French, Futuna chiefs recently hinted at a potential push for independence in the midst of concerns over French mineral exploitation. The Pacific Islands of the future seem set for some radical changes. Some of the biggest questions will be those surrounding governance capacity, fiscal independence, and resource management. New Caledonia, home to 25 percent of the world’s nickel reserves, can be expected to undertake a dramatic renegotiation of its mining arrangements upon independence, while the fate of the Panguna copper mine in Bougainville — estimated at a value of $37 billion and an infamous flashpoint for bloody clashes and indigenous exploitation during the 1990s — remains at an impasse. Sorely neglected within the field of IR analysis, the Pacific Islands region may yet emerge as as one of the geopolitical hotspots of the 21st century. With a number of other independence movements growing across the Pacific — including the Chilean territory of Rapa Nui (Easter Island), Chuuk State in the Federated States of Micronesia, Fiji’s Rotuma islands, Banaba Island in Kiribati, New Zealand’s Cook Islands, Australia’s Norfolk Island, and the Indonesian territories of West Papua, Aceh, Maluku, and Kalimantan, to name a just a few — it’s high time that we paid some attention to our Pacific neighbors. *An earlier version of this article said that France had re-classified French Polynesia as a non-self governing territory. **An earlier version of this article said that there had been 196 nuclear tests in French Polynesia. Sally Andrews is a New Colombo Plan Scholar and the 2015-2016 New Colombo Plan Indonesia Fellow. She is a Director of the West Papuan Development Company and the 2016 Indo-Pacific Fellow for Young Australians in International Affairs. This article was first published on the Young Australians in International Affairs blog. This article can be republished with attribution under a Creative Commons Licence.